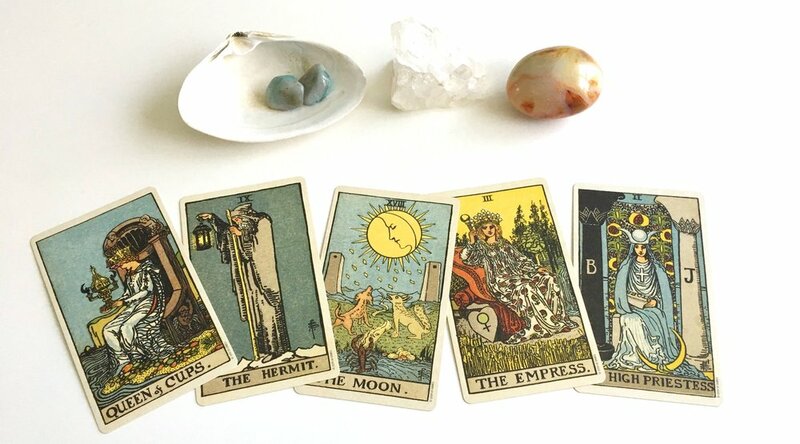 This past weekend, I hosted a workshop at Hauswitch in Salem called Maiden, Mother, Crone where we talked about archetypes of the Divine Feminine, associated expectations, and how these play out in our lives. We did meditations with each archetype and shared personal, vulnerable stories. It's truly amazing how much we can unpack when we allow ourselves to be open in safe, sacred space. I'm still finding myself very immersed in thought from all those conversations. This workshop was admittedly timed to align with Mother's Day weekend, as this can be such a complicated day for many. One concept we were able to touch on was the Mother Wound. I've seen the Mother Wound defined mainly in two ways, both of which I find extremely important. The Mother Wound has been defined as an emotional/psychological burden that is passed down along generations of women. Much of it derives from patriarchal devaluations of women, and it gets passed down in subconscious behaviors and thought patterns. As women learn how to cope with societies that don't make room for women to be strong and blossom, they develop coping mechanisms. These are then picked up by the following generations, creating an inter-generational wound. The second definition of the Mother Wound is more personal in scope. It acknowledges the special connection between parent and child, and furthermore, acknowledges the lifelong wounds we can carry from this relationship. This isn't about blame - it's not about whether the parent failed, or the child was difficult - because the wound happens independent of being able to objectively analyze and place blame. Whether we grew up feeling unsupported, judged, unheard, criticized, or any myriad of wounds that can surface in a mother-child relationship, we grow up carrying these wounds in one form or another into adulthood. 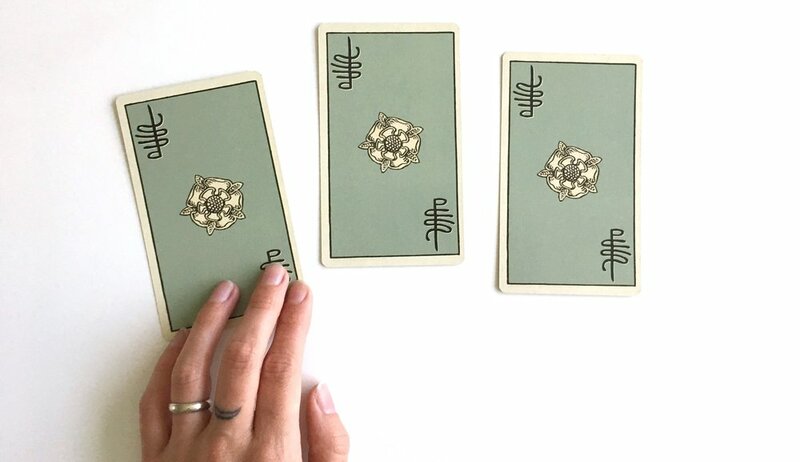 There is so much to be said about this topic (and perhaps this will percolate into another workshop), but I wanted to develop a couple of tarot spreads to help you start your inner dialog about this, should it be something you feel called to start healing in your life. Both of these spreads are framed from a perspective of personal responsibility. I did this intentionally - whether or not these wounds came from previous generations or unhealthy relationships we have experienced, it is important that we have agency. We are empowered to take control of our own wounds and start healing them - this does not depend on the involvement of anyone else. In what area of my life am I using unhealthy learned coping mechanisms? How can I bring these into my consciousness so I can begin to change them? What energy should I bring to this process to help me heal? Where in my life am I carrying childhood wounds? How are these wounds affecting my emotional wellbeing? What is my first step in bringing healing for myself? I hope you find use in these spreads, and if you want to share your thoughts, please email me! Whether you came to my workshop, just happen to know me, or don't know me at all, I find this to be such an important conversation.